The good news so far is that, possibly due to climate change, the UK winters have become milder. However with continuing cold snaps for December through to March predicted, for many consumers the financial burden of growing heating costs is concerning. The combination of gas & electricity providers raking off significant profits year after year hits consumers in the pocket, particularly in these winter months. Specifically with domestic gas bills; these seem to be constantly rising in real terms. Do you switch providers, do you go for fixed cost plans or do you seek alternative heating methods? Log burners now occupy over 1 million UK homes, with popularity in supply and demand increasing each year. With many more houses in the UK that are suitable for wood burning stove installation, is this the best route to cut your heating bill? How important could log burners be to our finances? A Q2 2014 report from the Office for National Statistics demonstrated that 23.5% of average household expenditure went on ‘housing’ – which includes gas and heating bills. Oil barrel costs go up and down – gas has been creeping steadily up in price. For the right house owner, log burners could be an effective way of controlling ballooning fuel costs. Do we buy wood burners to save money? The fashionable, trendy appeal of the wood burning stove is undoubtedly a contributing factor to rising sales of over 175,000 units per year across the UK. However many of these households have both gas central heating and wood burners. 21 million UK homes are heated by mains gas (83%) so it is safe to say that there is a good degree of overlap. What is cheaper – burning wood or using natural gas? The methodology of energy performance for both efficiency and the environment is called the Standard Assessment Procedure or ‘SAP’. Studies indicate that it is 29% cheaper per KWh to burn wood than to use natural gas. An average annual gas bill would have cost £690 in 2013, so if you were to purely rely on wood burning stoves for heating you could save £200.10. This is compelling, particularly if your property would be well suited to log burners. The comparison against other fuels gets quite interesting. The cost saving for oil is a considerable 43%, 50% for LPG and 77% when benchmarked against electricity. For home owners in remote areas of the UK, heating oil costs can rapidly fluctuate and so burning wood could save nearly £300 per year. Making the burning wood vs. using natural gas cost comparison work is where things get a little bit complicated. The consumer champion Which? 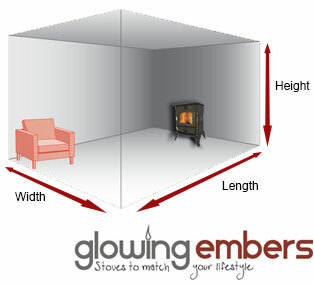 estimates the total cost, including installation, of a log stove is usually around £2,000. The average for a gas central heating system is £2502, which is where gas has the upper hand because obviously this cost covers the entire house. The media have created a more negative angle against wood burning stoves for this reason, which focuses your attention around the multi-room installation cost in comparison to the longer term cost savings (and environmental benefit of using renewable energy). Depending on how serious you are about saving money on your heating bills, don’t worry – help is at hand. To navigate around this disparity in installation costs and contribute towards ambitious carbon reduction goals in the next 30+ years, the Department of Energy & Climate Change created the renewable heat incentive, or RHI. Since 2014 the RHI has been extended to cover domestic renewable heating. Your heating system must be MCS certified and your installer needs to be a member of the energy consumer code (RECC) and be MCS certified as well. 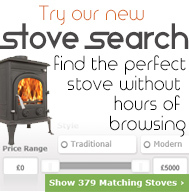 The Government provide a manufacturer and model list of stoves with back boilers that qualify. You may however find that the exact model you are looking to buy isn’t on the list or of course it could be marked as ineligible. Either way you can either request a review of its eligibility or of course apply if you and your stove retailer are very confident that the wood pellet stove with back boiler meets the requirements. How much could I save on the RHI? Based on the 15,000 average KWh usage (and no saving from cavity insulation) the government would pay you an estimated £11,900 over 7 years – £1700 per annum. You would need a green deal assessment of your property to firm up your numbers, with the result of an Energy Performance Certificate (EPC). You can then apply direct to the Government for this financial incentive. A good place to start would be to get a green deal consultant appointment to discuss the different heating system options and get your EPC. The most positive model of burning wood is that while we are tree chopping, we are tree planting and the new trees soak up the CO2 emissions from the burned trees. A recent DECC report suggests that burning waste wood from a felled forest is better in terms of CO2 emissions and works as ‘renewable’ when new trees are planted as substitutes.